Pittsburgh Penguins star Sidney Crosby will serve as Canada's captain at the world hockey championship. General manager Jim Nill also announced Thursday that Dan Hamhuis of the Vancouver Canucks and Jason Spezza of the Dallas Stars will serve as alternate captains. The world championship begins Friday in Prague and Ostrava, Czech Republic. Crosby, of Cole Harbour, N.S., was the captain of Canada's Olympic-champion squad in 2014 in Sochi, Russia, and scored the overtime winner to lead the Canadian team to gold at the 2010 Winter Games in Vancouver. Hamhuis, of Smithers, B.C., will play in his sixth world championship. He helped Canada win gold in 2007 and silver in 2008 and 2009 while also being a member of the Canadian 2014 Olympic squad. 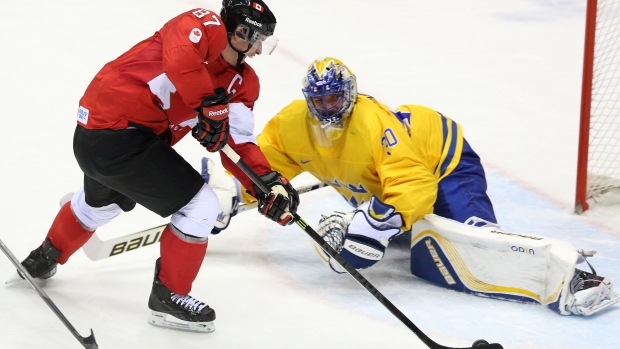 Spezza, a Toronto native, will also make his sixth world championship appearance, winning silver in 2008 and 2009. He also helped Canada capture the 2012 Spengler Cup.